Made this for the husband's work party since I don't know how we are going to eat 14 recipes in a half a month! 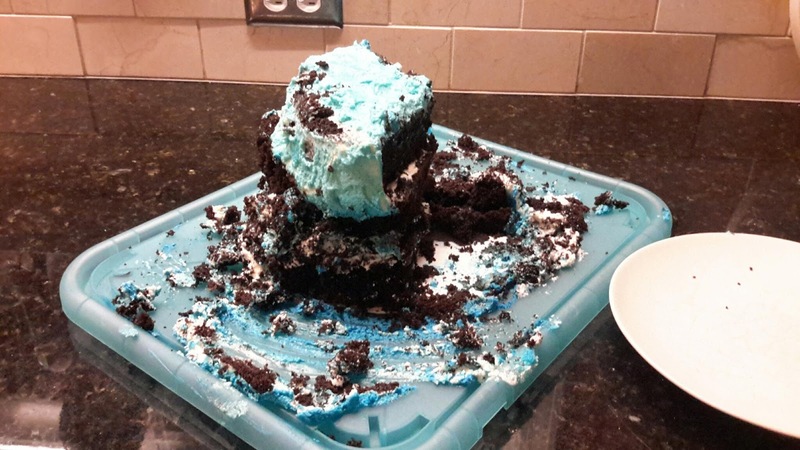 They finished a good amount of it and the drive home left the cake in pretty poor shape. Still tastes good when it falls over! 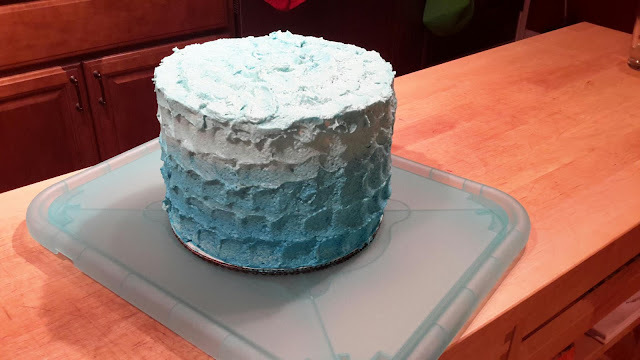 Although, there is a winter mint cake on the sweetapolita blog that is better than this one. 56! 14 left. Home stretch!